The Sassy Developmental Playmat features 7 toys and high-contrast patterns that help to inspire baby's senses. 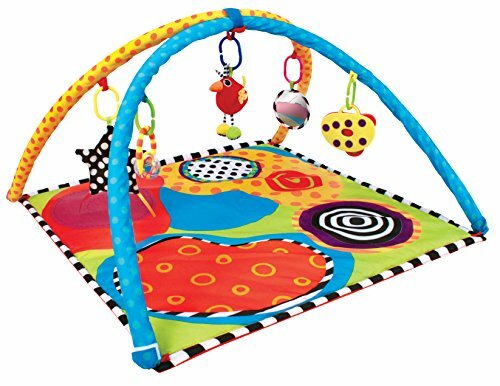 Playmat can be used with or without toy bar to help baby build gross motor skills and to use during tummy time. Playmat is machine washable.